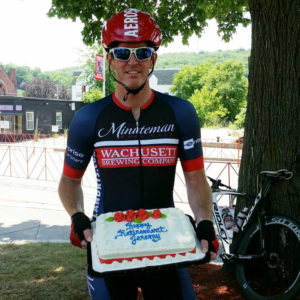 Welcome back to Directeur’s Chair with this edition of Weekend Recap with our Directeur Sportif Tom Coleman. 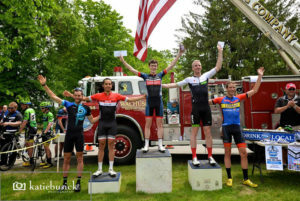 We catch up with Tom after a busy weekend of racing in Connecticut at the Brumble Bikes Kermesse on Saturday, April 7th and the Pete Rotella – Mystic Velo Criterium on Sunday, April 8th. 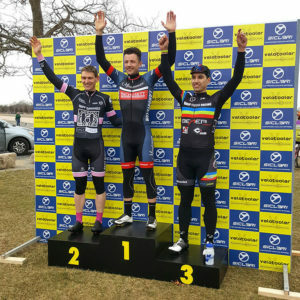 Both days MRC found podium spots in a few different categories. 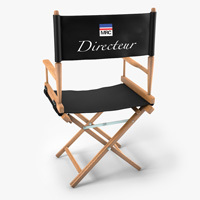 MRC: Hi Tom, welcome back to the Directeur’s Chair. Another weekend of races and another weekend of good results. Tom Coleman: This weekend’s races went really well. Saturday was a hard course at the Brumble Bikes Kermesse. Sunday was the always exciting Mystic Crit back at Ninigret. We had guys all over the front of every race we were in. I was really happy to see our guys out there giving a great effort. 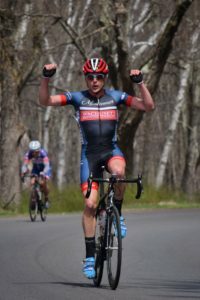 MRC: At the Kermesse you were in the P/1/2/3 field featuring the usual heavy hitters but with the addition of Ben Wolf to the mix. TC: I didn’t personally have high expectations for a 80 mile race with 7k of punchy climbing lap after lap. I met up with Robbie Raymond and Rees Madsen before things set out. Luckily for us the race got cut a lap so it was only 66 miles or so. 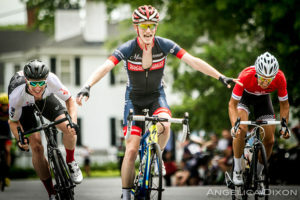 On the second lap, I went all out following Ben Wolf and Brendan Mccormack over the climbs. My legs didn’t want to keep going, but every lap, the group got a little smaller and smaller. On about the 4 lap, I finally popped. Luckily, I was in good company because Robbie was with me. I was feeling a bit ragged and Robbie was a champ doing a ton of work in the small group that had formed. 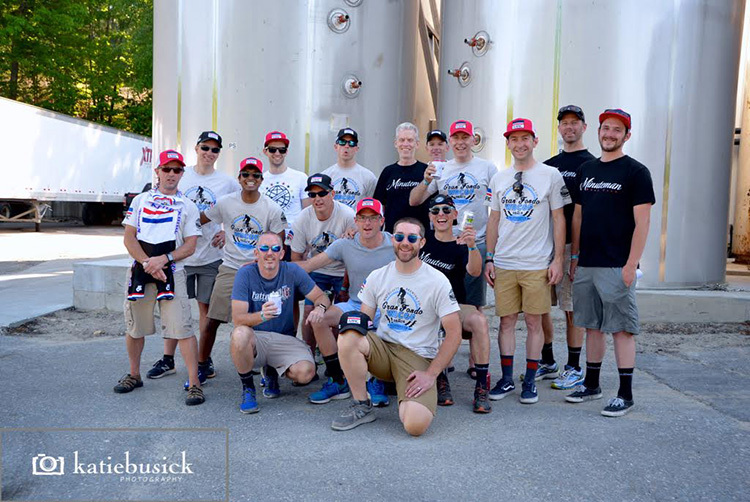 On the final climb, we caught up to former MRC standout, current CCB Foundation – Sicleri racer, Patrick Collins, and all rode to the finish together. Due to Robbie’s hard work he finished 17th overall and was the top Cat 3 racer. It was a hard day. MRC: Sounds like Robbie will be a Cat 2 before we know it! 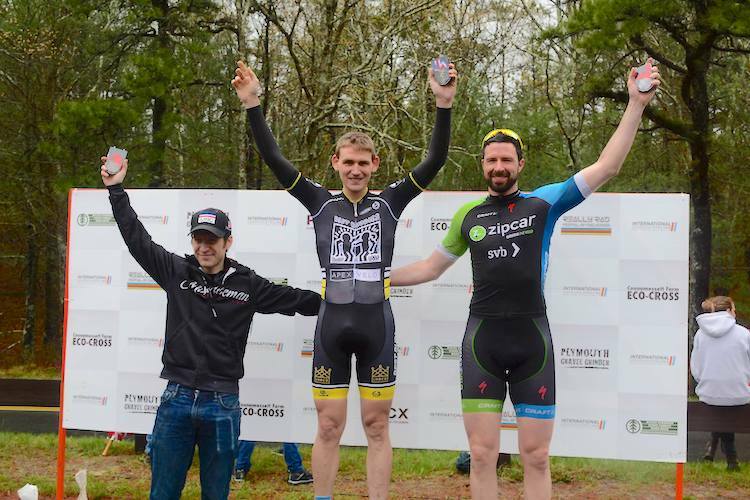 Earlier that morning, Cat 4 racer Tucker Wetmore took the top step on what was described by Tucker as “a brutal course”. TC: Yes, Captain Mike Westberry must be putting together one heck of a plan because that’s two weekends in a row that he’s had some great results from the squad. MRC: Lets have a quick chat with Tucker Wetmore about last weekend’s race. Tucker, welcome to DC and congrats. Two weekends and three podiums! You must be pretty happy with those results. Tucker Wetmore: Thanks, I’m really pleased at how this early season is going. MRC: Last weekend, you hit the top step after getting 2nd and 3rd the previous weekend. TW: It was a great day on a brutal course. Fortunately, the weather turned out so much better than expected. Just like last weekend, our squad worked really well together all race. There were three moments leading into the end that stand out. On the last lap, there was a solo rider off the front with about a 45 second gap. AJ Camelio went to the front and brought him back. Then, going into the first of three climbs on the last lap, the group slowed down and riders started swarming up at the front. AJ did what I’d describe as a soft attack to string out the group, allowing me to stay about 6th wheel without needing to fight for position. Finally, Mike Westberry took up the pace, doing his best Kwiatkowski impression and kept the group single file delivering me to the second climb (when I had told him I was planning on attacking) in perfect position. It was so awesome! MRC: Wow, that’s great. You’ve gotta love it when a plan comes together. Speaking of plan, what’s the plan for your Cat 3 upgrade? You’ve made quick work getting points for your upgrade. TW: The upgrade points are coming a lot faster than expected, that’s for certain! It helps when you’ve got a strong team, and both weekends would have been very different without such incredible support. You can’t do it alone. MRC: Going it alone, don’t you have a background in Triathlons? TW: I swam in college and took up triathlon two years after graduation. 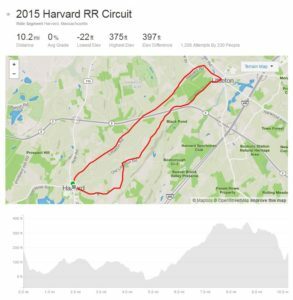 I was absolutely horrendous on the bike (in my first race I held 17.5 mph on an 11 mile course)! I hate being bad at things, so the bike became my new obsession. 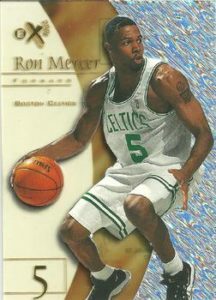 Fast forward 5 years and I earned my pro card in tri. I’ve spent the past 5 years turning myself from a sprinter into a time trialist, so I’m hoping I can get some top end back! MRC: Note to self, MRC has a PRO in the ranks! Thanks Tucker, and good luck on the upcoming races! TW: Thanks, looking forward to mixing it up with the Cat 3’s soon! MRC: Tom, back to you. 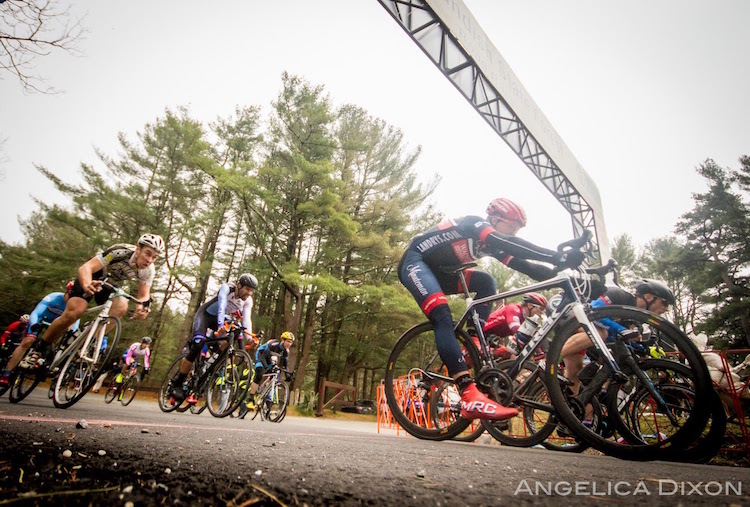 Sunday, the squads were back at Ninigret for the Pete Rotella -Mystic Velo Criterium. TC: Yup, I was able to catch end of the cat 3/4 race seeing Rees in a 3 man break with a decent gap and Robbie sitting on the front of the pack doing his best to monitor any would be attacks. In a hotly contested sprint Rees Madsen ended up getting 2nd with Robbie in 5th and junior racer Jason Tinkov finishing 7th. Again, it was amazing to see our guys working like a well oiled machine. Attacking, covering attacks, knowing what they need to do to get the job done. MRC: Looks like Reese wants to join Robbie in potentially jumping further up the ranks to Cat 2’s right?? TC: I sure do hope so. After their race both Rees and Robbie jumped in with me in the P/1/2/3 race for a taste of a much longer race. MRC: And how did that go?? TC: Well, about lap 2 of a 90min Ninigret race (read, “lots of head wind”) a group of the typical strong men attacked and I followed. Soon a breakaway of 8 formed with all the top teams represented, CCB, GLV, and Bucher Box. The hammer dropped again and a large gap formed looking like we could possibly lap the field. One critical mistake was made when the break let Tim Mitchell attack with Chris Goguen in tow. I hesitated and that was it they were gone. They were the ones who lapped the field and once back in the pack their teams shot them through to the point we never saw them again. MRC: Looks like even though those two had lapped the field you managed to get second in the field sprint for 4th overall. TC: With 5 to go, I followed John Harris and Roman Seliversotiv who attacked looking to make it a small group for 3rd. John was on the front a lot leaving Roman and I a little fresher for the final sprint. As we came to the line I was too smoked to try to beat the Ukrainian National Champion in a sprint and got 4th and Robbie 11th. MRC: Speaking of lapping the field, the Men’s 40+ race also had one of our guys in the break where they too lapped the field. TC: That’s right! That race ended before I got there, but after talking with Chris Busick who was in the race he said it was a good one. 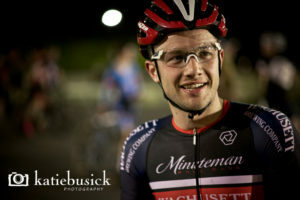 Busick helped get Chris Pare in the break that lapped the field and finish 4th. MRC: Great to see those results coming in all race categories. TC: Yeah, I’ve said it before. But it’s great to see the guys out there working like a team. Set a plan and execute. We’re back for 2018 with a whole new look and new leadership for our club and race team. 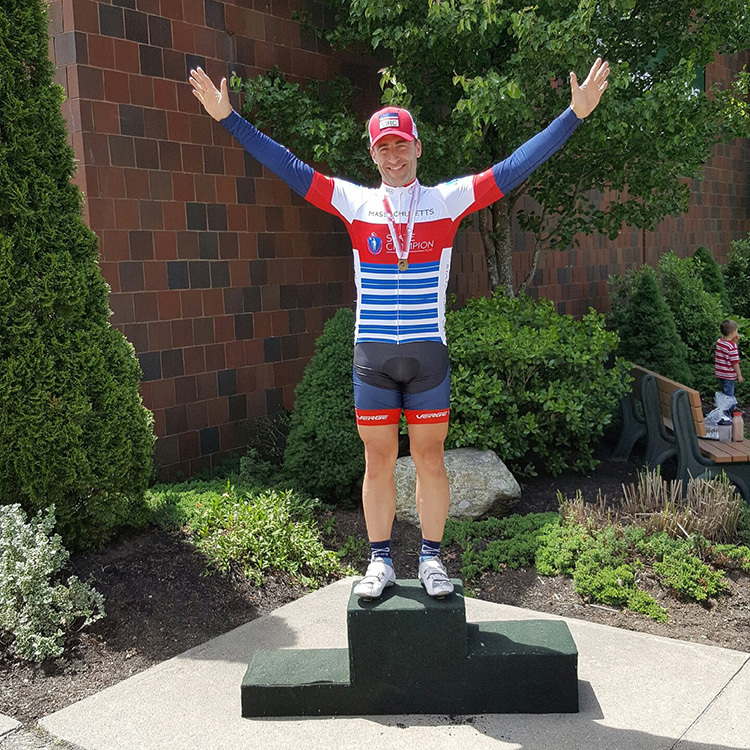 Jeremy Cratty who was our previous race team directeur has stepped it up a notch and is now our club president, congrats Jeremy! 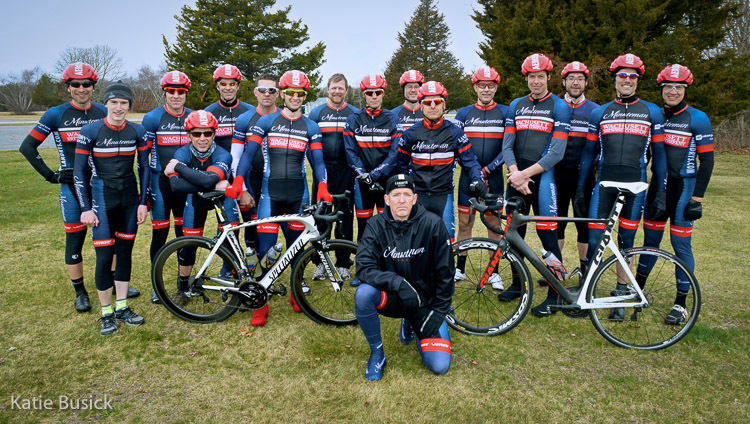 Now that Jeremy is navigating the ever changing political scene we had an opening as Race Team Directeur and one of our top racers has decided to give back to the club a little by playing team boss. Congrats and welcome to our new Directeur Sportif, Thomas Coleman! To kick things off we’re going to try a new segment called “Tuesdays with Tom” were we try to have a regular chat with DS Tome Coleman. MRC: Hi Tom, welcome and congrats on the new role. MRC: Being the new DS of MRC, you have some big shoes to fill. What are you bringing to the table now that Mr. Cratty has moved up a rung on the MRC hierarchy? TC: Jeremy Cratty came to me and said “Hey, you’d be good at this!” And I thought what the heck, I’ll give it a shot! What do I got to do……lol. Honestly it’s a bigger job than I once thought, we have a very large and impressive group of racers that span all categories. That’s why I’ve really like having the team captains! I can work with them to do all the dirty work! But seriously I’m happy to be giving back to the club. MRC: Tell me a little about your cycling background. TC: My cycling background actually started in BMX and MTB. I was trying out some mountain bike racing and needed more legs under me, road riding is a great way to find them. But then I got sucked into the never ending vortex of Road Racing. (And there’s a hundred stories in between all that). MRC: HA! We’ll save those for next time… I know your a busy guy, so I’ll keep this short. Any closing thoughts for the folks on the interwebs? 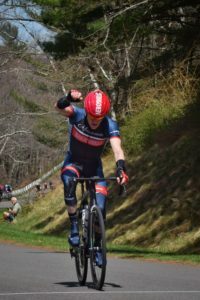 TC: In this early 2018 season I’m excited to see all these cat 4s and 3s coming out hard and getting results. But that may be a bit selfish because I’m hopeful that this guys will eventually upgrade to Cat 2’s and give me a team to work with in races. Personally I’m also excited to work on my own Cat 1 upgrade this year. Last year was a good year for me to learn the ropes of the P/1/2’s and this year I’m ready to apply it.